Perhaps Vivaldi understood both the beauties and curses of nature. Arguably the composer’s most popular composition, “The Four Seasons” (Le Quattro Stagioni), celebrates the changes from spring through summer, fall and winter. But he also might have known how changes in weather can subtly torture fine cellos, violins, basses, and all other wooden-stringed instruments. That’s because all of those instruments are forged from an organic product, wood, that is affected by humidity. The violin that plays well outside on a hot, sultry summer night will need care and adjustment if moved inside to a dehumidified space (such as a concert hall) or transported to a dry, cooler climate a day or two later. Humidity changes are the enemy of stringed instruments. Expansion (humid air) and contraction (dry air) of all pieces of wood.The effects of shrunk (when dry) or swollen (when wet) wood: There are many things that can go wrong, which are the symptoms that can alert you to what the problem is. They include: Tightening or loosening of the strings, slipping/sticking pegs, open seams or cracks, buzzing/nasal/muted sounds, when the bow skates across the strings, a decreased response or projection of sound, or a change in the neck projection. Weight increases.The sound of a stringed instrument changes because the wood is denser with moisture in humid conditions. What one buys in a violin maker’s shop does indeed change as soon as it travels somewhere. The bigger the instrument, the bigger the effects.Because it is made of more wood, a bass or a cello will experience greater effects from changes in humidity/moisture than a violin. 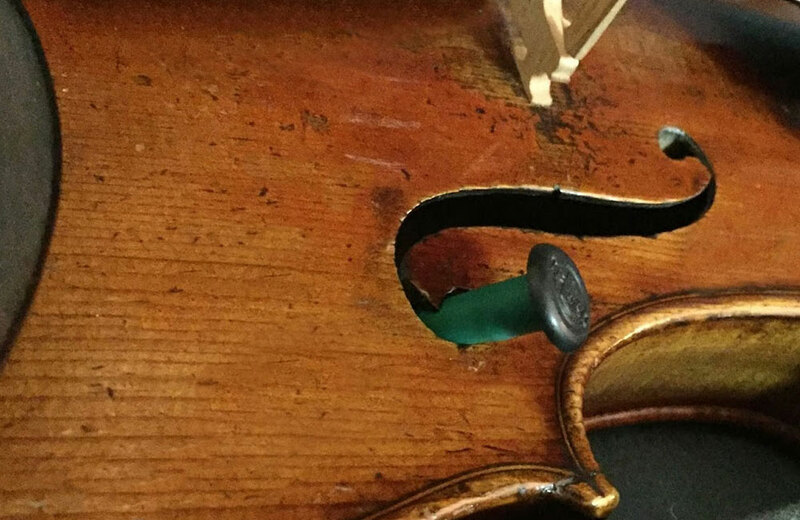 Ideally, you would treat your violin the way museums treat great physical works of art. You would always maintain a set degree of humidity and temperatures. Unfortunately, musical performances and musicians exist in a bigger world; therefore the stringed instruments must find a way to travel to the ends of the earth. This is why a few active measures by the musician might be undertaken. They include measuring the relative humidity of an environment with a tool called a hygrometer. But just measuring it is step 1. More importantly, you can control humidity by several means: run a humidifier (if it is too dry) or a dehumidifier (if it is too wet) in the space where you will be playing. For traveling, a humidifying Dampit might work (particularly useful in winter, when artificial heating systems are drying). But ideally, the violin will adjust to the local humidity – and the musician will adjust the instrument strings accordingly – when in a new environment for two or three days. To gain a bit more insight into protecting an instrument from environment, a visit to a local violin shop should do the trick. 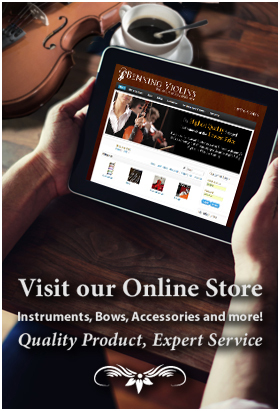 A local violinmaker would stock proper cases, dampits and humidifiers among the accessories they stock. Vivaldi may not have had the modern tools for reading humidity, nor did he have airplane travel to hasten the atmospheric changes. But he certainly appreciated the graduations in temperature and humidity over the course of four seasons that allow us to adapt more easily to Nature’s whims.